Jaki has been one of the UK's leading female soul vocalists for over 30 years. Born in Birmingham, she joined UB40 as a backing vocalist. In 1983, she signed with EMI as a solo artist, releasing her first single, What's the Name of Your Game, in 1984. To date, Jaki has scored six UK Top 10/20 singles and two Top 5 singles in the US dance charts, including the Number 1 hit, Ain't Nobody. She achieved a Guinnness World Record as the first Black British female solo artist to have six consecutive Top 10/20 hits. In 2009, Jaki's Gershwin and Soul concert with the BBC Big Band for Radio 2 received widespread acclaim. She has released numerous albums worldwide; in 2014, she released her highly anticipated studio album, For Sentimental Reasons. 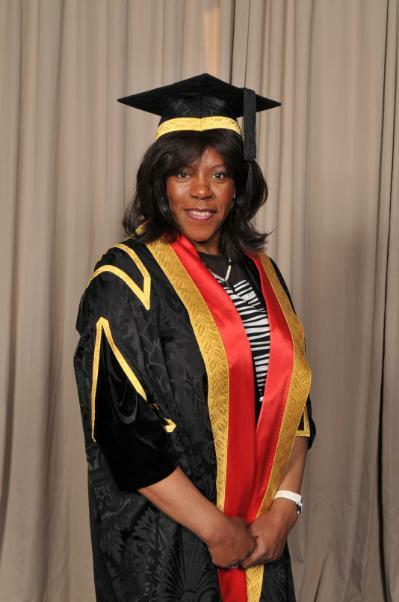 Jaki was awarded an Honorary Degree for the University in 2013 for her services to music and the creative industries. She was inaugurated as a Pro-Chancellor in September 2015.